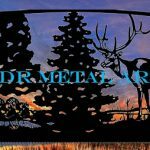 metal driveway gates Archives - Custom Driveway Gates - Iron Steel & Aluminum - JDR Metal Art - FREE Standard Shipping! 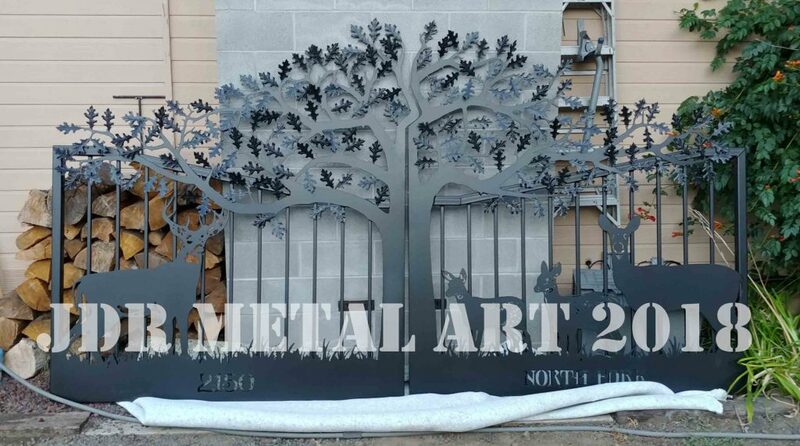 This metal driveway gate is a work of art with it’s oak tree & deer wildlife theme. With over 200 stamped steel leaves welded in place, this handcrafted masterpiece is a 12′ wide, dual swing that is 6’8″ tall in the center. Each panel has been primed with the unbeatable combination of zinc rich powder coat primer top coated with a matte black finish. 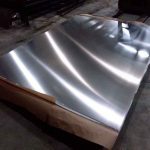 The zinc rich primer greatly extends the life of the powder coat finish by preventing rust from forming beneath the powder coat. It also prevents rust from spreading at any area where the finish has been dinged or scratched down to the bare metal. The matte black finish is an exterior grade finish that is formulated with UV inhibitors to resist fading. Our metal driveway gates ship nationwide. Any size, any metal (steel or aluminum), any design..contact us today for a free consultation and metal driveway gate quote.